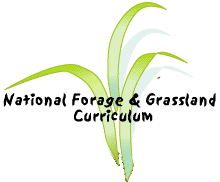 In recent decades there has been a great deal of interest in enhancing BNF during the production of forages and other legumes. Why? In general, because BNF provides a form of nitrogen (N) that may be less expensive and more sustainable than conventional N fertilizers. The process by which N fertilizer is synthesized is known as the Haber-Bosch process. It requires high temperatures and high pressure. To create these conditions requires energy, usually derived from non-renewable fossil fuels such as oil or natural gas. In the 1970's an oil embargo by some of the oil producing countries outside the U.S. resulted in dramatic increases in the price of oil based fuel products for society and for farmers. This brought the issue of our reliance on these non-renewable fuels for food production to the attention of the general public, food producers, and agricultural scientists. It was recognized that a considerable amount of energy goes into the production of synthetic N fertilizers. It was further recognized that incorporating more BNF into agriculture might help reduce the dependence on synthetic N fertilizers and thus lower energy inputs associated with N fertilization of crops. Since the early 1970's considerable research has been conducted to help producers utilize BNF more often and more effectively in food and forage production. As interest and research in the area of BNF has continued, scientists and producers have identified a number of economic and environmental benefits of incorporating BNF into forage production. Some of the more important benefits are summarized and briefly discussed in the following points. 1. Greater use of BNF will reduce society's current dependence on synthetic N fertilizers. The production of widely used synthetic N fertilizers such as anhydrous ammonia requires the use of relatively large amounts of energy from non-renewable energy sources such as natural gas. Distribution and application of these fertilizers also requires relatively large amounts of non-renewable energy sources such as diesel fuel. 2. Greater use of BNF can help enhance environmental quality by reducing problems with air and water pollution. The over-application of synthetic N fertilizers has been linked to excessive nitrate (NO3-) levels in groundwater in a number of locations around the United States. Excessive nitrate concentrations may have detrimental effects on human health. Both the manufacture and application of synthetic N fertilizers involves burning non-renewable fossil fuels such as natural gas, diesel fuel, and gasoline, which have been shown to contribute to air pollution. 3. Greater use of BNF can help lower production costs and thus increase profit margins for producers. The use of crops that fix nitrogen in crop rotations can significantly reduce N fertilizer needs for crops in the rotation. For example, following alfalfa with corn in a rotation will allow profitable yields of corn with less expense for fertilizer purchase and application. 4. Greater use of BNF can help enhance sustainable food production by improving soil fertility and tilth. Some producers have found that the use of so called green manure crops is a more sustainable fertilizer alternative than purchased, synthetic fertilizer. Green manure crops are crops grown specifically to be incorporated into the soil rather than for harvest. Using green manure crops that fix atmospheric N2 may potentially increase soil N levels and organic matter content over time. Additional organic matter in soils generally improves the tilth of a soil, where tilth refers to desirable physical properties of soil such as proper drainage, water holding capacity, aeration, and structure.